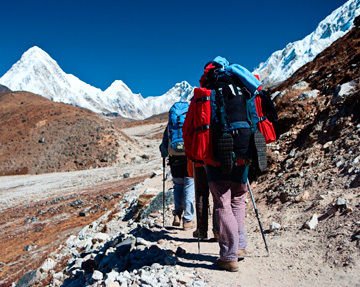 Enjoy trekking in the Himalayas in your own style!! Experience the beauty of the Himalayas while trekking from Mcleodganj to Triund. 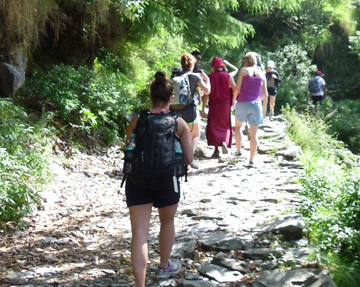 While you are doing volunteering at Palampur, you should not miss this trek to make your stay a memorable one. The best time for trekking in this region is from March to July and then October to November. All necessary equipment and food, medical kits are provided by us, so you carry no worry!! Ready to experience the sheer beauty of Himalayas? Today once you arrive at Mcleodganj bus station, your tour guide will meet you. After getting fresh at a local lodge/facility, the exciting trek begins. This 9 Km trek would make you reach at Triund, a beautiful Himalayan resort. You will get one water bottle and we recommend carrying more water bottles with you. Stay will be at a guest house or tent or camp at Triund. Relax and enjoy your stay. After breakfast at Triund, you will start descending back to Mcleodganj. You can get the scenic and beautiful views of the Himalayas. After you arrive at Mcleodganj, you can have a walk in local market and you can visit Dalai Lama Temple. Later reach to bus station to board your bus to Delhi.